Are You British, And Have You Recently Become An Official Resident Of Spain? What’s Going to Change For You? Last night I attended a presentation hosted by the British Consulate covering the issues of living here post Brexit. Well, I am not sure how informative it was, as there seemed to be lots of ifs, buts and maybes. One thing I did conclude from it all however, and something I have always maintained, is if you live here, why not just get in to the system properly rather than constantly ‘wondering’ about it, or simply avoiding the issue. Many people have been here in Spain for years without ever becoming officially resident. Differing circumstances cause this, varying between lots of time spent travelling, working away in another country or just being told not to worry. These tend to have all created a ‘meaning to get round to it tomorrow’ situation for many people. This has quite often been the case when I have met with people during the 20 plus years I have been here, until along came this Brexit situation. It has resulted in more and more talk about what to do in the press, on the TV and radio, in bars, at family gatherings; basically everywhere. EU membership has led to the feeling of it being very easy to live here in oblivion to all things official. But that looks like it is now changing. Or is it? One thing we do know is that the Spanish have seized the opportunity to entice people to become official residents of Spain, and if you want to avoid any doubt going forward, it is by far the most sensible option. In the build up to the 29th of March deadline, the British Consulate and local Spanish town halls have actively encouraged people here to take up official residency in a series of talks like the one I attended last night. It’s amazing how quickly this has all become reality in what seems such a short time since the original referendum in June 2016. Now we are looking down the barrel of a possible no deal Brexit on the 12th of April. Or are we? Who knows as I write this. All of this aside, the sensible thing, without doubt, is for people to become officially resident here in Spain. For many, since the Brexit situation it has felt like a fait accompli and therefore something they simply have to do. Whatever the reason, if you have made the decision, then what does it actually mean for you going forward? Things seemed to be absolutely fine before, so surely not a lot will change? Well, that is not exactly true. The first thing to stress is how nice it is to know that now you won’t need to worry about ‘sort of knowing’ you probably should be resident and in the system. Things can certainly now be 100% clear. I call it ‘the sleep easy factor’, and it’s amazing the amount of people who say how good they feel when it’s all done. There are a number of things that you should now consider, not necessarily in this order. Do you have Spanish will? You should already have a Spanish will if you own a property here, so that’s not changed. If you haven’t done that, you must, and it is very easy to do. It can be in both English and Spanish so you will understand everything. And it’s not expensive. A lot of lawyers I know will do it for a couple of hundred euros if things are all quite straightforward. That will be another box ticked! Once resident, currently some say you have up to two years to change your driving license to a Spanish license. There are others who say you have three months, others who say 9 months. The UK Government advice site says two years. Regardless of who says what, and to avoid any embarrassing confusion, once you have residency why not just get on with changing your license? Again, there are many people around who will help you do this. You will get a temporary license while it is being dealt with and then a nice new Spanish license. A medical test will be needed, but again these aren’t that difficult to arrange. As long as you are in reasonably good health this shouldn’t be an issue. On a positive note I have certainly found Trafico much easier to deal with showing a Spanish license when pulled over for a roadside check. The rules here are different to what you may be used to. You start with 13 points and they are deducted when you are caught being naughty. When you get to zero, then a suspension will occur! Importantly, there will be taxes and tax returns to consider. If this is your first time becoming a tax resident, then you will have to file a tax return for this year. The tax year here is the same as the calendar year (unlike the UK with their silly April date!). Your first return will therefore have to to be filed no later than the 30th June 2020. Income tax will be due on income received during the year at varying rates depending on the amounts involved. This is similar to the UK with the rate increasing the greater your income level. If you were previously a non resident, then you would pay capital gains tax when you sold your house (assuming there was a profit!). Now, as a resident, this will not apply on your main residence when it is sold, subject to certain criteria being met. Wealth tax is due every year on your assets. This, as the words say, is effectively for people considered wealthy, and increases the wealthier you are. For most people this is not too much of an issue, but can be painful for people with a lot of assets. Inheritance tax can be a complex area, and tax is paid by the person who receives the inheritance. 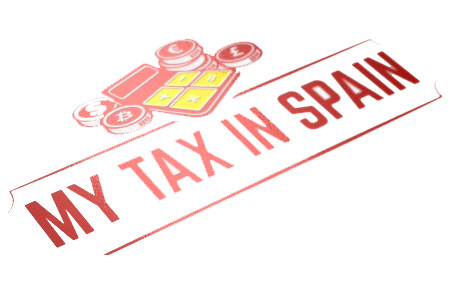 The rules here in Andalucia have changed recently, meaning this should really not be so much of an issue anymore as there are now large exemptions granted which almost eradicate any amounts due, depending on the size of the estate. At the end of each year, you will now also have to file a separate tax return from the one mentioned above, on a form known as Modelo 720. This is simply a declaration of everything you own in excess of 50k € outside of Spain (bank accounts, property, investment policies, share portfolios etc), and needs to be filed by the 31st March 2020. Regarding your investments and pensions, take a good look at where your income is coming from and what type of investments you hold. A simple example of the different treatment after taking residency would be holding UK ISAs. Although these are tax exempt in the UK, as a tax resident here these will now be taxable. Also, how will your pension be taxed now? Previously, you were entitled to a Pension Commencement Lump Sum (PCLS, previously referred to a tax free lump sum). This will now be taxable here in Spain. The rate applicable will vary depending on how old the scheme is, and any benefits you are receiving will be taxed differently depending on the amount. If you haven’t started drawing from your pension yet, it may be worth looking at moving the scheme away from the UK, for a multitude of reasons. On the other hand it may not, so if you do look into this, make sure you are furnished with all of the information you need to make a well informed decision. Having taken residency will mean you have adequate medical insurance in place, and although this can be seen as expensive, the treatment you will receive will be second to none. Of course, as with all of these things there are the exceptions and everyone’s circumstances differ slightly. But the overriding message is that things should be fine here, even after Brexit, and as we know, the Spanish are very keen to keep us all here for many years to come. I have covered many different aspects in this article, but please make sure you take good advice from people in the know. There are many legal, tax and financial advisers here who will be able to help you with most of the subjects covered; but as always, make sure you shop around, as prices and service levels do vary greatly, and always see if you can get a recommendation from someone who has firsthand experience of using that person before. So, with all things considered, maybe Brexit pushing you to become a fully fledged Resident of Spain wasn’t such a bad thing after all. Why is it important to have regular financial reviews? Finding time in our busy schedules for reviewing our financial position is not always easy; however, here are some reasons why it is worth the effort and considerations in choosing who you should see. 1/ Living in France, it is important to check that you are both tax compliant and tax efficient, through proper use of savings allowances and being up to date on current tax rules. 2/ Using a company that is regulated here in France means that your advice is specifically relevant to France. 3/ Choosing a financial adviser who is also an expatriate means there are no language barriers and you both understand the experience of what it is like to have moved countries. 4/ Personal circumstances can change and regular reviews will make sure your finances are in line with your current needs. For example, you may have recently retired, be experiencing a change in your income or have just become a French resident. It was only recently I wrote about the fact we are all living longer as a result of improved lifestyles and medication, and the lovely Spanish lifestyle we are all enjoying. The point I was making is how it is all very relevant to our finances and how we best manage them. But what if you are the one who tends to manage the family affairs and finances: are you confident that all of the papers and documents you hold are not only all in order, but equally as important, somewhere where they can be found and easily understood in the event of your demise? I am aware of many couples who would not know where all of the important documents relevant to their lives are. It is all down to who normally runs the financials, and that can the husband or the wife. We all spend time every year making sure the ITV for the car is sorted, house insurance and car insurance policies are up to date, tax returns are filed etc. How about putting some time aside to create ‘ THE Folder’ as I like to call it? So what is THE Folder? It is a single file (digital or physical) where you keep all of your important personal and financial information together. It allows easy access to these documents in the event that you are no longer around to help. It is really important to have it in place when one family member takes the lead on the family finances; this includes paying bills, managing accounts and storing documents. Even if that is not the case, it is an important exercise. So what should be in THE Folder? THE Folder can be very simple, and I always suggest contact details for each of the relevant policies etc. should be clearly marked as well. Also, make sure that when THE Folder is complete, you sit down together and explain all of the information it contains, as it will be as useful as a chocolate tea pot if you don’t both know exactly what is there. Well, I think it is worth the effort. At a time of loss it can be stressful enough, without having to try to piece together the deceased’s financial affairs. This can be a really difficult time for family members, even more so if your support network, typically children, is back home in the UK. However, preparing THE Folder is much more than just avoiding stress; if you leave behind an administrative nightmare, you could delay access to inheritors’ funds and potentially cost a small fortune in legal fees. To give you an example of this, the UK Department of Work and Pensions estimates that there is currently more than £400 million sitting in unclaimed pension pots in the UK. Which is best…..physical or digital? This comes down to personal preference. It can be done by either creating an electronic file that survivors can access in the event of death, or an actual paper file. An electronic file can be stored on your main computer, in the cloud or on an external hard drive. Make sure everyone knows how to access the computer, cloud or hard drive though! Alternatively, if you use a physical folder to keep all of the important information together, make sure it is large enough to keep everything together. The good old shoe box has been a long time winner in this department, although a well organised file does make life a lot easier for everyone. For what it’s worth, I find lots of people prefer paper and are happier with hard copies of everything. I personally prefer digital, which I have shared with some trusted family members. It may even be worth considering asking your legal advisers to hold the folder on your behalf (electronic is much better for this reason), so a simple visit to them if anything happens means they can assist you far more easily with everything. Typically they will want all of the information it contains anyway, so by saving time when it becomes relevant, the small annual charge they may make for holding the information will normally be offset. How often should THE Folder be reviewed? It is sensible to note the date that it was last reviewed, so that anyone using it has an idea of how up-to-date the details are, and then going forward, reviewing the file on an annual basis should be sufficient, or of course, whenever a significant change occurs which you consider materially important. I have already stressed this, be sure to tell someone about it! There is little point going to the effort of creating such a folder if no one knows of its existence or where to find it…..
Moving to another country is one of the biggest decisions that anyone is likely to make, especially to a country where the language is not your native tongue. Most of the expats I meet say that the hardest thing about moving to France is getting to grips with the language, and I include myself in this. From my own experience I know that lack of fluency is often a cause of frustration, confusion and anxiety, especially when dealing with bureaucracy, medical matters and finance. Fortunately, there are people and businesses out there who can help. The Spectrum IFA Group are independent financial advisers and our area of expertise covers the provision of regulated advice on the tax-efficient investment of financial assets, pensions and inheritance planning. 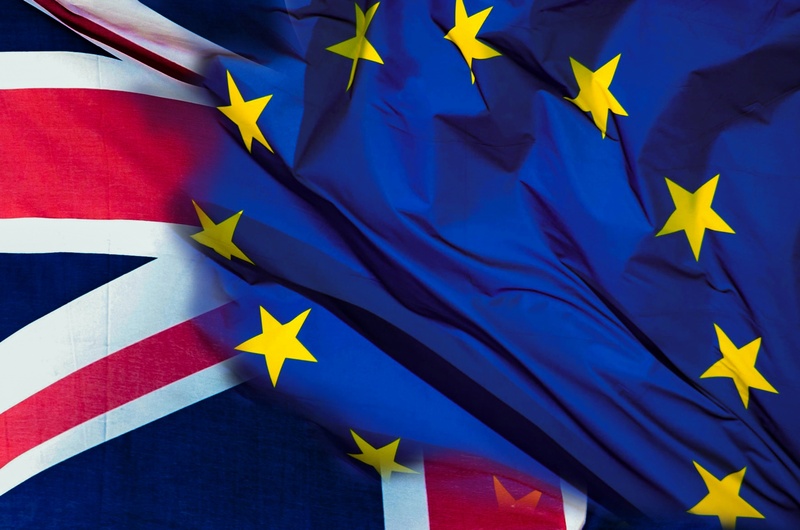 We are a French company, regulated in France, which means our business activities will not be affected by BREXIT. As well as being regulated in the county in which he or she is advising a client, a good financial adviser should also have the relevant knowledge of the tax framework of that country and the tax treatment of suitable products in order to give the most appropriate, tax-efficient advice. 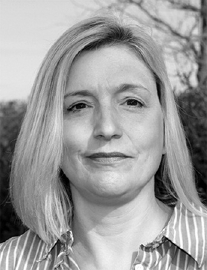 You probably wouldn’t have sought the advice of a French regulated IFA to manage your UK investments when you lived in the UK so it doesn’t make sense to expect a UK regulated IFA to advise you when living in a different tax jurisdiction to the one in which they are qualified and regulated. In this age of online banking, tele-marketing and robo-advice, we believe that the old- fashioned method of a face to face meeting, to discuss your individual circumstances and financial objectives, plays a vital part in establishing the trust between the client and the adviser, and that should be the number one priority. 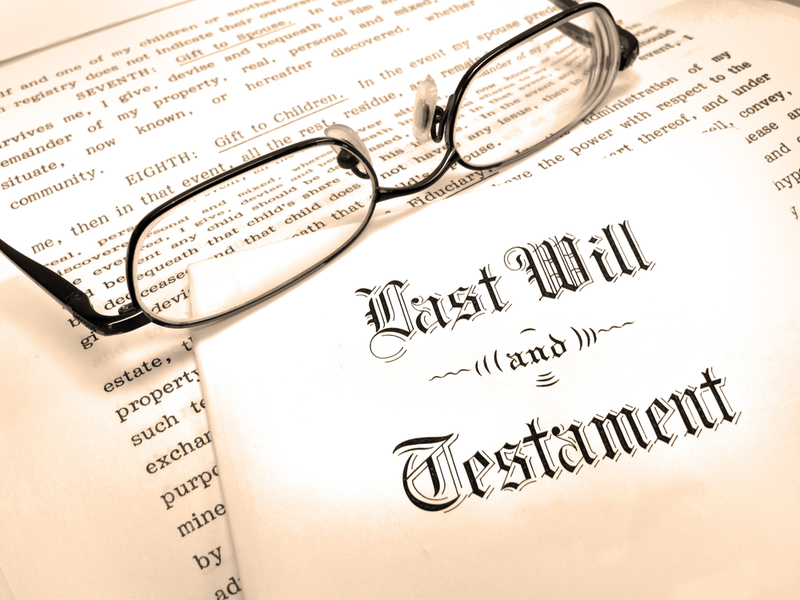 Your inheritance wishes – do you have wills? Are they set up correctly for French residency? Who do you want to inherit? Your financial assets – bank deposits, investments, Trust assets, business interests – where are they situated? Are they tax-efficient for French residency? By the time we have gone through all the above, and usually swapped a few stories about our lives, both the client and I have a very good idea as to whether we feel comfortable with each other and that we can work well together. If, after this meeting, I believe that I can help you achieve your objectives, I will go away and put together my thoughts and recommendations in a report to you. We do not charge any fees for meetings, research or preparing reports and making recommendations. We will meet again to discuss, in detail, any recommendations made, and the product charges will be fully explained. If you decide to go ahead with a recommendation and become a client of Spectrum, we will be remunerated by the product provider. This is just the beginning of the relationship. Things generally change over time, such as pensions and tax legislation, investment performance, physical well-being, family situations, income and capital needs. An important part of my job is to ensure that we meet periodically, at least once a year, to review your circumstances and make sure that your finances are on track to meet your current needs and longer term goals. Most days I count my blessings for having a job that I love doing. There are the odd times when it does get challenging, but when I’m helping clients all day long they are the magic cure. Being an Expat Financial Adviser giving advice on how to invest your money means it’s vital for me to get to know my clients. That involves understanding what their passions and goals are and what their fears and dislikes are too. It’s usually two things that drive investments, fear and greed, and my job is to manage these aspects. I let the experts manage the money and I take care of the emotions. That’s not to say that I am a psychologist or psychoanalyst, but I did take advice from one while writing this to make sure I express myself as having the best interest of the client and not just voicing my opinion! If a client does not feel comfortable with advice they receive,then it must not be right. Persuading someone to do something is not in your best interest. I may have been guilty of this in the early years of my career when we were put under pressure by our management, however, at The Spectrum IFA Group we are trained differently, and age and experience have taught me that this is not the way to keep a client. I am an investor myself so understand that the value of your money can and will go down as well as up, yet if I believe in what I recommend I can help clients when the times are unsettling. Having patience and belief in the advice you receive is paramount. If your gut instinct says that you don’t believe any part of what you’ve already done then discuss your concerns with an Adviser. Emotions connected to your finances can relate to varying issues because each and every one of us is different. Common symptoms are: maybe you can’t sleep, you always worry about money, you are fearful about what might happen to it, you haven’t heard from your Adviser, you’ve never done this type of thing before, what happens to your money when you die, can you lose some or all of it, what if you go back to live in the UK? When we are younger we are prepared to take more risk with our money, but as we grow older we tend to become more cautious and have concerns about whether the money will see you through. This all needs careful managing and looking after to ensure it does what you want it to. 5 Factors I take into account before making a recommendation are: what income do you have and need to live on, what assets do you own, where do you pay your taxes, what level of risk, if any, are you prepared to take and how long do you wish to plan for. Another point to consider for living in Menorca is where is you Adviser regulated? This is important because if you have a legal problem it ideally must be dealt with in Spain. We are registered and regulated under the DGS (Correduria de Seguros). Does it work to have someone regulated in the UK when you live under the authorities of Spain? All Spectrum Advisers are regulated in the country they live and work in, they are expected to live locally and within easy reach of their clients. 3 words to say. Reassurance, Reassurance, Reassurance. To know that all is as it’s meant to be will allow you to live your life more peacefully and happily on this beautiful island. Menorca has a special place in my heart. I used to live and still own a property here on the island and purely demand from work made living in Mallorca more practical. My opportunity now to say thank you to all my friends and clients here who keep me having to come backwards and forwards all the time! How do you choose a financial adviser? Question: Can you offer me any tips in choosing a financial adviser? When you move to France, you are moving to Country with many different laws and rules to the one you are leaving and this is unlikely to change in the future, so choosing a financial partner which is right for you is very important for your financial peace of mind. Is the Company regulated in France? 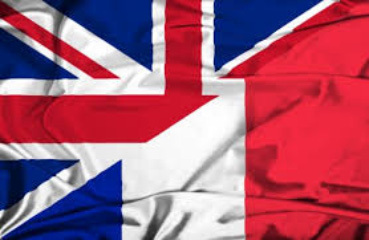 With nothing yet becoming clear on how the UK will be trading with France after Brexit, using a company which is based and regulated in France reduces any need for a sudden change, should regulations change, post Brexit. Is my adviser able to sit down with me and review my finances on regular basis? Your Financial Adviser is not just someone to see once and then forget about. As your needs and circumstances change and with different investments growing at varying rates, being able to sit down and review your situation regularly is very important. What are the costs involved for any appointments, reports or ongoing support? It is important to know what costs will be involved throughout the life of any arrangement with your Financial Adviser. How does my adviser get remunerated? A clear understanding of how your adviser gets paid and a client charter outlining how the relationship is set up helps clarity and ensures you have no surprises down the line. Can your Adviser offer any references from existing clients? Being able to speak to existing customers is a great way to measure a Financial Adviser. You can hear first hand, how the process and relationship has worked for someone in the same boat as you? Does the company own, or do its Directors/Partners have financial interests in the investments being offered, or are they truly independent? You should be comfortable that your Adviser is not promoting any “own brand products”, without making this clear to you in advance of any commitment. If the company does have its own products be sure that you can view performance, move to another product or change Adviser without additional penalties. Can I work with this person? Your Financial Adviser is someone you need to be able to work with. You will likely see them on a regular basis and be comfortable speaking about your future with. In life we sometimes meet people we just cannot seem to warm to, so do not be afraid to seek alternative advice if you find yourself in this scenario. Whether you want to register for our newsletter, attend one of our road shows or speak to me directly, please call or email me on the contacts below and I will be glad to help you. We do not charge for our financial planning reviews, reports or recommendations. The ‘Flip side’ of Demographics; a Revolution in the Making? As a “baby boomer” born in the ‘50s, with clients aged between 27 and 93, I have had both the fortune and misfortune of being born slap bang in the middle of a seismic generational gap. It does appear that at the moment there is a greater emphasis and concern placed on an aging population and less attention paid to the “millennial” and “X“ generations and their futures. Having grown up and experienced a revolution as a teenager in the ‘60s and ‘70s, I was heavily influenced by the contemporary music of that time. The global impact of Dylan, The Beatles, The Rolling Stones and The Who, of whom the latter’s recordings of “My Generation” and “Won’t Get Fooled Again” seemed to represent many of our generations’ feelings and desire for change, helped fuel that revolution. It seems like the recordings and lyrics of the aforementioned, even today, still ring true for the younger generation. Just as much as music influenced us, so too did Hollywood, with films such as Easy Rider, The Graduate, Soldier Blue and Bonnie & Clyde springing to mind. These films came to represent a counterculture generation increasingly disillusioned with its government, as well as the government’s effects on the world at large, and the Establishment in general. It led to the questioning of “old fashioned values” based on a previous generation’s views. Shortly after, Shaft came to represent a genre, with the actor Richard Rowntree creating a lead role not seen before. I sense from observations, and from discussions with other parents of varying ages and with the younger generation, the same sense of a growing dissatisfaction and concern with the current status quo. So the simple question is, are we now at a stage where another “people’s revolution” is in the making? In the next few articles I will try to explain, albeit briefly, a potentially disenfranchised generation, the impact of this position on them, their reaction, and how this may impact the future as we know it. As an adviser I need to keep up with change. Along with my own research, I also have access to the major resources of the fund managers that we use, their view being that change is happening already. How often should I have a financial review? Have my personal circumstances changed since my last review? This can include firming up on plans for retirement, changes in your family situation, emerging health issues, a change in jobs or an inheritance. Any of these things could change what you need your money to do for you. Do I know how the investments I hold are performing? Have you received a recent statement and are you aware of how your investments are performing compared to others? Reviewing your finances can reassure you that you are on track. 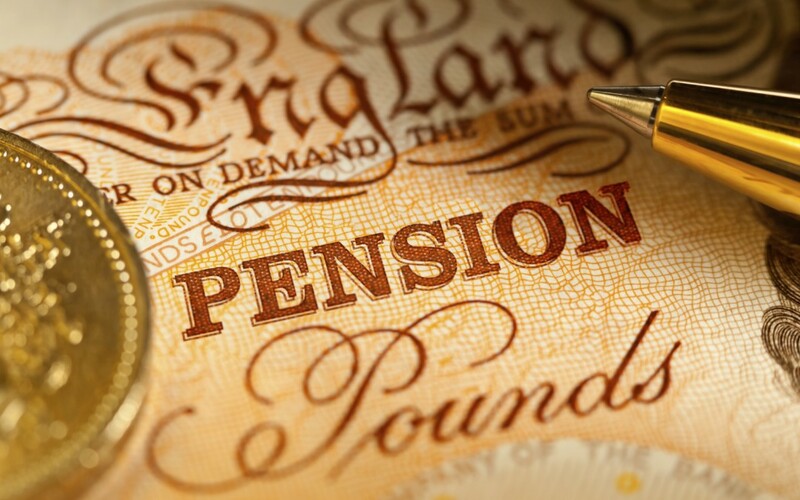 Do I know the position of my current private pensions? There are options available to expats which are not open to British residents. These are not right for everyone and a professionally prepared analysis is required. The answers to of these questions may indicate that now is a good time to arrange a financial review. Sitting down with your adviser will enable them to ensure that any investments held are appropriate for your current situation and risk profile and that you are not over exposed in certain areas. Your adviser can also tell you how your investments are performing against other types of investment available in the market. Couple this with an ability to advise you of any changes in rules and regulations and you can see that a financial review can provide tremendous peace of mind. Whether you want to register for our newsletter, attend one of our road shows or speak to me directly, please call or email me with the contacts below and I will be glad to help you. We do not charge for our financial planning reviews, reports or recommendations. How often should I review my financial situation? Have my circumstances changed since you last spoke to a financial adviser? These could include a change in health, new jobs, reduction in income, bereavement or simply a change in personal goals since you last reviewed your finances. Have any recent articles or programmes caused you concern? The internet provides us with a wealth of information, through news programmes and social media which is sometimes difficult to decipher. Do you know how any investments you have are performing? Financial performance on different investments is based on many factors and knowing how your money is invested can ensure that it matches your outlook. How much tax are you paying on your investment? To encourage people to invest, the French government allow for certain tax efficient investments which can reduce your annual tax bill. When did I last review my finances or speak to an independent financial adviser? If not in the last year or so, now may be the time to check that you are making the most of many straightforward investment and tax planning opportunities that are often overlooked. Speaking with my many clients one of the most talked about topics is “I wish I had done something sooner” or “I wish I had put a plan in place”. All too often in our younger years we race through the nitty-gritty details of our finances and neglect to focus on crucial “future proofing” in the process. In our 20’s we tend to spend, spend, spend. In our 30’s we try to save, but starting a family or purchasing property make it difficult. In our 40’s we’re still suffering the hangover from our 30’s and inevitably the work required to provide for your financial future becomes increasingly harder. But if you adopt a marathon approach to money (opposed to a sprint – see my article on this topic), it can allow you to take a more holistic look at your overall financial picture and see how decisions that you make in your 20s and 30s can impact your 40s, 50s and into your retirement years. It doesn’t matter how old you are, being financially healthy boils down to two things. The level of debt you have and the level of savings/investments you have. The only real difference is how you approach both subjects, as this will change with age . It’s easy to think that making the minimal payments and delaying paying them off, to save more, is a good idea, but this strategy rarely works. The more you make the more you tend to spend, so getting round to clearing off these debts never comes any closer. As you go through the 20’s cycle, additional costs will start being considered, like starting a family or purchasing a house therefore the ability to clear your debts just doesn’t materialise. This is why now is the time to work on breaking the credit card debt or loan cycle for good. While you’re busy paying down your debt, don’t forget that you should always be planning on having a “savings buffer” in the bank. To help accomplish this goal you should transfer funds straight from your “day to day” account into a deposit account. One where your aren’t likely to get access through an ATM which reduces the temptation to spend it on a whim. Ideally, you should aim to have three times your take-home pay saved up in your emergency fund. At this point in your life, retirement is far off, but it can be important to start saving as early as you can. Even small amounts can make a big difference over time, thanks to the effect of compound interest. Start saving a small percentage of your salary now to reap the rewards later in life. See my articles on compound interest and retirement planning to see the difference it can make. During this decade, your financial goals are likely to get a bit more complicated. Some people will still be paying off credit card debt and loans, whilst still working on the “emergency account”. So what’s the secret to juggling it all? Rather than focusing on one goal you should be looking at the biggest of your goals, even if there are three or four. If you’re still paying down your credit card balances then considering consolidating onto one card with an attractive interest free period should be your first task. Failing that you need to concentrate on the card with the highest interest rate and reduce the balance ASAP. The most important thing to consider with debt is the interest rate, If you have low interest rates (I’d be surprised) then there’s no major rush to pay them off, as you could manage the repayments and contribute to other financial goals at the same time. If your interest rates are quite high then the priority is to clear these debts down. Little ones may also be entering the picture, or becoming a frequent conversation. Once this is a part of your life you’ll start thinking about the cost implications as well. Setting aside a small amount of funds now to cater for the ever increasing costs of bringing up a child will reduce the financial stress later down the line. If you have grand plans for them to attend university, potentially in another country, then knowing these costs and planning for these costs should be part of your overall financial planning. The thing that most people forget. Big life events such as getting married, having kids, buying a house are all trigger points for reassessing what insurance you have in place and more crucially what insurance you should have in place. If you have dependents, having sufficient Life cover is paramount. Other considerations should be disability, critical illness and even income protection. It’s time to stop just thinking about setting up what you call a Pension Pot, it’s time to take action. Starting now makes it an achievable goal, leaving it on the back burner because you’re still too young to think about retiring is going to come back and haunt you later in life. This is the decade where you need to make sure you’re on top of your money. At this point in your life, the ideal scenario would be to have cleared any debts and to have a nice healthy emergency fund sitting in a deposit account. During your 40s it’s critical to understand how much you should be saving for retirement and to analyse what you may already have in place to cater for this. In my opinion it’s now that you need to start putting your financial future/ retirement ahead of any other financial goals or “needs”. Although you may not have paid much attention to “wealth management” in your 30s, you’ve probably started accumulating some wealth by your 40s. Evaluate this wealth and ensure there is a purpose or goal behind the investments you have done. Each goal will have a different time horizon and potentially you will have a different risk tolerance on each goal. The further away the goal is the more you can afford to take a “riskier” option. It’s about getting the balance right. Hopefully you’ve worked hard and things are stable from a financial point of view. You need to remember to enjoy life today as well as planning on the future. As long as important financial goals are being met there is no harm is splashing out on that dream holiday, and enjoying it whilst you can. You may find yourself being pulled in different directions with your money. Do the children still require financial support, do your parents require more support than before ?, The key thing to remember is to put your financial security first, and yes I know that sounds a bit tough…….. You still have your retirement to consider and probably a mortgage that you’d like to clear down before retirement age. Your 50’s are prime time to fully prepare for retirement, whether it’s five years away or fifteen. At this point you should be working as hard as possible to ensure you reach your required amount. This means that careful management of your assets is even more critical now. It’s time to focus on changing from a growth portfolio to a combined growth, income and more importantly a preservation portfolio. What I’m saying here is it’s time to really analyse the level of risk within your asset basket. During their 50’s a lot of clients struggle with figuring out how much they can afford to keep supporting a grown child, especially when they’re out there earning themselves. The bottom line is that although it can be tough you have to continue to put yourself. first. The day of retirement is only getting closer and unless your planning has been disciplined there’s a possibility you may need to work longer than anticipated, or accept less in your pocket than you hoped for. You should begin to revisit your estate planning, your last will and testament, power of attorney if you feel necessary and confirm that your beneficiaries on any insurance policies or investment accounts are all valid. Once you’ve covered off the administration part then I’d suggest you sit back and look forward to the biggest holiday off your life……..have a great time !! !